Author: McCurdy, J. Fitzgerald Set In . . . The second popular title in the word-of-mouth kids’ lit phenomknown as The Serpent’s Egg Trilogy, The Burning Crown is anotherfast-paced fantasy adventure tale. The Elven Crown has fallen into the hands ofthe Demon’s crazed minions, who control the only known portal into a magicalland. Now, a group of Ottawa kids must regain the Crown before its power can beused to unleash the Demon Hate from her dark prison. 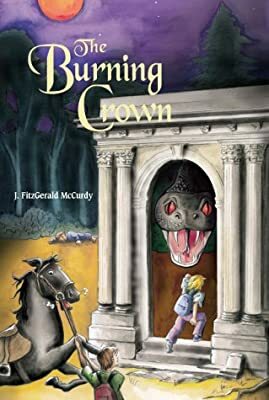 With her effortless skill at building a complete fantasy world—underthe Ottawa Library of Parliament, no less—McCurdy packs The Burning Crownwith epic battles, wondrous creatures and a life-or-death challenge thattests the bonds of friendship.